New numbers released by the party show that over 124,000 members will be eligible to vote in the NDP's leadership race, an increase from just 41,000 in March. 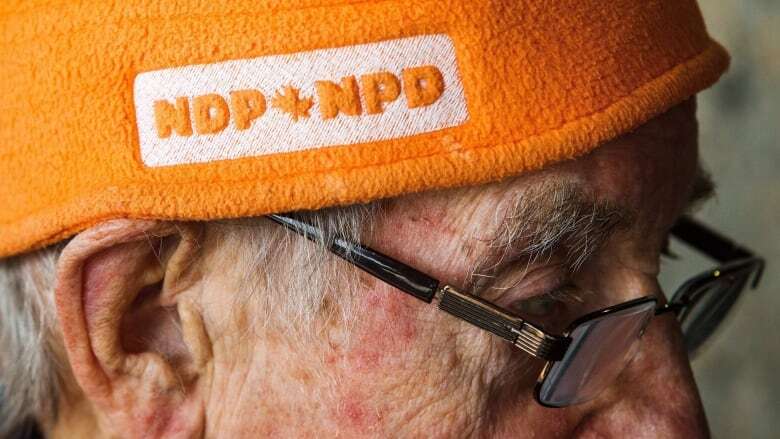 There will be more than 124,000 members eligible to vote for the next leader of the New Democrats, according to figures released by the federal party on Tuesday. That represents significant growth from the 41,000 members the party says it had in March. It is down only slightly from the 128,351 members who were eligible to vote in the leadership contest that selected Tom Mulcair as Jack Layton's replacement in 2012, when the party formed the official opposition. The party added about 83,000 members over the last few months, primarily in the run-up to the eligibility deadline in August. In 2012, the party added about 45,000 members to its rolls during the course of the leadership campaign. The party is still finalizing its count. The provincial breakdown from the party adds up to 123,798 eligible members, though the party says that number will top 124,000 once the final verifications are complete. Ontario boasts the biggest cohort of eligible voters at about 52,000, representing 42 per cent of the total membership. That is up from the 29 per cent share Ontario had in 2012's vote, potentially good news for the two Ontario candidates in the race, Charlie Angus and Jagmeet Singh. For Robin MacLachlan, a vice president at Summa Strategies, the numbers suggest an advantage for Singh. "The combined numbers in B.C. and Ontario — where [Singh] has had the most activity, traction and endorsements — suggest he has delivered an impressive number of new members," he said. In a tweet, Singh claimed that his campaign had signed up over 47,000 members, including more than 30,000 in Ontario and 10,000 in B.C. While the party can't verify that number, if true it would represent 38 per cent of all eligible party voters. British Columbia's total share of the membership fell to 26 per cent from 30 per cent in 2012, numbering around 32,000. Alberta has just over 10,000 members, no different than where it stood in 2012 before NDP Premier Rachel Notley's provincial victory in 2015. Leadership contestant Niki Ashton's home province of Manitoba has just over 10,000 members as well, down about 2,000 members from 2012. Quebec saw the biggest drop, falling from 12,000 members (10 per cent) in 2012 to just under 5,000 (or four per cent) in this leadership race. This could put a dent in Quebec MP Guy Caron's chances to win the leadership. The New Democrats share membership between their federal and provincial parties, so not all new members were necessarily signed up in the context of the federal leadership contest. Leadership races are also underway in Saskatchewan and Manitoba, while another recently came to a close in New Brunswick. The Conservative Party had 259,010 eligible members in its May leadership vote, while the Liberals had 294,002 so-called "supporters" in the 2013 campaign that resulted in Justin Trudeau taking the helm of the party. Unlike the Conservatives and the NDP (with the exception of Newfoundland and Labrador, where NDP membership is free), the Liberals do not have a fee for membership. In the end, just under 131,000 Liberal supporters registered to vote in the 2013 leadership contest. In 2012, just over 65,000 NDP members, or 51 per cent of eligible voters, cast a ballot in that campaign's first round of voting — a number which might have been impacted by problems the party had with its online voting system. Turnout in the Conservative leadership race was about 141,000, or 55 per cent, while 80 per cent of registered voters (though just 36 per cent of supporters) participated in the 2013 Liberal leadership. The first round of voting for the NDP leadership begins on Sept. 18, with members able to cast their ballots online and through the mail. The first round results will be announced on Oct. 1 in Toronto. Up to two more week-long rounds of voting will be held until one candidate receives a majority of ballots cast, with the last place candidate being eliminated after each round. If required, the results of the second round will be announced on Oct. 8 in Montreal and the third round results on Oct. 15 in Ottawa.